At McCambridge Duffy, we believe that good customer service is the most important thing, especially when we are speaking to people who are having a difficult time financially and may be distressed. Because of our emphasis on quality customer service we often receive great feedback from our clients which we really appreciate. You can read some of our IVA reviews for yourself and and see what you think about what our clients have to say about the service and advice we offer. 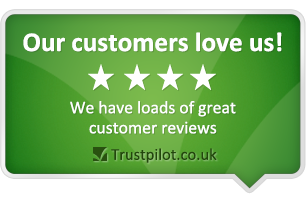 If you want to read more reviews and testimonials, just visit our TrustPilot page where we have a 9.9 rating out of 10 for independent reviews of our company. 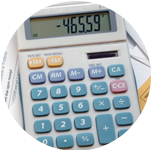 If you would like any advice on your debts, please get in touch. Fill in the form on this page and one of our advisors will call you for a chat, or call us on freephone 0800 043 3328. McCambridge Duffy were extremely helpful and professional during a very stressful and nervous time for me. They advised me on the best course of action for my debt problem and supported me in making an IVA Proposal. They assisted me in compiling the supporting documents I needed and accepted a lot of these documents via email which was a huge help, due to me leading a busy life, working full time and as a mother of a toddler. My IVA Proposal was accepted today with minor modifications, which were throughly explained to me and advice given on these modifications with my best interest and views and feelings taken on board. All members of the team who worked on my case, were professional and didn't patronise or judge the position I had got myself into in terms of being in debt. I would highly recommend them and foresee the next 5 years being as simple and straightforward as the past month has been. After looking at a lot of debt solution sites based on reviews I choose Mccambridge and Duffy They gave me fantastic advice and are very professional... Couldn't be anymore helpful and made me feel at ease. A big thank you to Sean and Danielle. Thank you again From JB. I can't rate this company highly enough. The process of my IVA was quick and smooth running; the staff are very efficient and explained everything to me clearly throughout the process. The staff at McCambridge Duffy were all friendly and helpful. Couldn't fault, the most friendliest and professional company you could wish to deal with. Took all the worries from me and I feel my future is much brighter now. Thank you. Easy, fast and reliable service. Communication has been quick and easy throughout the process. I highly recommend using McCambridge Duffy. From the moment that I contacted this company there were fantastic. Contacting them wasn't an easy decision but I had no reason to have worried. They are non judgemental, extremely professional and treat you with respect. I would highly recommend them and if you are in financial difficulty they will give you the very best advice. They have given me my life back. Found from start to end the process very easy and staff were hugely helpful and friendly. I didn't feel like anyone was judging my situation. Happy with the communication all the way through. I was in so much debt I couldnt sleep and drank a lot. When I called they where so helpful and kind to my situation... just talking to them lifted a huge weight and I felt in control again, even could smile again. I am now exercising more and given up drinking as feel I'm in control again. I can now pay my bills in a manner I am in more control. I have money for food and bills without worrying my card will be declined. 100% happy with the service. Thankyou so much for giving me my life back. I contacted McCambridge Duffy for help and advice on my spiralling unmanageable debts. From start to finish the staff were brilliant, nothing was a hassle to them! They are very knowledgable, informative, understanding and patient. They took the hassle out of it all. They respond to emails within the same day (normally a couple of hours if not sooner). Any documents you need to sign are sent through the post within 2 days - no waiting around! Thank you from the bottom of my heart Danielle and Sean, you really have made a huge change to my life when I thought there was no hope and no where else to go. I would and will highly recommend your company and services. Everyone that I have spoken to or emailed/text have been very helpful, very thorough and not judgemental at all. Helped to make an extremely stressful situation straightforward. The one thing I wanted to do this year was to sort out my finances. I knew that it was going to creep back up on me at some point so I had to do something. I did my research for companies within the IVA field and saw McCambridge Duffy. When I finally picked up the phone as nervous as I was, I was made to feel at ease and not ashamed about the debt I had and that they just wanted me to get back on track. They didn't beat around the bush, they were very honest about what will and might happen in my situation which was what I appreciated. Now I am back in control and feel a weight has lifted. What a relief. I cant thank them enough. After much agonizing I took the step to do something about the debt I had got myself into, And now feel I have some control back in my life. McCambridge Duffy were very understanding and all the members of staff I spoke to were very professional. I would not hesitate to recommend. Absolutely Brilliant, high level of expertise and professionalism of the advice. Absolutely Brilliant making contact with McCambridge Duffy. The moment I talked to someone there I felt much more at ease and the stress started to dissipate. Superb and comprehensive communication and documentation has complemented and eased the process. My Case Manager has been fantastic, words cannot describe the huge thank you and amount of support, understanding, sympathising and reassurance given in a warm and friendly manner. He has provided superb advice and assistance throughout in a language that is easily understood. I do feel that I am starting to get my life on track. The whole Team at McCambridge Duffy are truly amazing thoughtful, considerate and understand everything you are going through nothing is too much trouble. They have made me feel very important while the whole thing was getting sorted. I cannot thank them and my Case Manager enough for all the hard work they have put in so far and still will put in through the rest of my IVA. From the first phone call I have been really grateful to you for your understanding of our situation and all your help. I was very nervous about it all and having had many sleepless nights worrying over debts I can honestly say I am sleeping better and thats thanks to you. Only wish I contacted you earlier. Would highly recommend you to anyone going through the same experience and again thank you. Would recommend this company to anyone. They helped me a lot and the service was always quick and pleasant. Very helpful and very keen to get everything going and was a pleasure to use this company. This company was amazing, they didn't judge me, just gave me honest help and advice when I needed it. Staff were compassionate, caring, very helpful, great team no matter who I spoke to. I feel like they've given me my life back, can finally sleep peacefully once again. The whole process was explained to me in an understanding way which made my experience that much better. I would highly recommend McCambridge Duffy to anyone who is struggling with debt issues, thank you all! Everyone I have spoken to at McCambridge Duffy have been extremely friendly and helpful. This has been a very difficult time and they have always been honest and open and willing to answer any questions I have had whilst sorting my IVA. Thank you for your help, your services have been great thank you so much. McCambridge Duffy handled our IVA with great efficiency, professionalism & without judgement. We felt safe and knew that they had our best interests at heart. The whole process was made very easy with no arduous paperwork. Communication is excellent and there is always someone on the end of a phone to ease worries or answer any questions. I was very nervous about talking to anyone about my debt problem but McCambridge Duffy were fantastic the whole way through the process. They dealt with me professionally, always kept their promises and made sure the stress was kept to a minimum. They made the whole process easy to follow and kept me informed and I am now able to start to live again after their help. Thank you so much. I found McCambridge Duffy to be a very professional company. I had dealings with several members of their workforce and they were very nice people to deal with. They arranged an IVA for me and they made the whole process as straightforward and understandable as they possibly could. I would have no hesitation in recommending them to anyone who has any financial matters or problems that they require help or advice with. Very helpful and understanding. The people who I have dealt with have been nothing but helpful. I would recommend to those in need. Fantastic service from a top notch company. They have been amazing in what was a difficult time. Everything went really smoothly I'm very grateful to them. Totally recommend them so efficient, thank you once again. I eventually 'bit the bullet' to make the phone call after finding McCambridge Duffy on Google. I looked up the reviews via Trust Pilot and decided to make that first phone call. What a relief it was, I wished I had done it a long time ago. All the way through everyone I spoke to were extremely helpful and nothing was too much trouble to them, especially as there was a lot I didn't understand!! Everything went so smoothly and the IVA was approved exactly as they said it would be. I cannot thank them enough and I can now lead a normal stress free life. Thank you all at McCambridge Duffy. Wouldn't hesitate to recommend you. Thank you. Thank you. Good advice to start our phonecall, ended up with us signing up for an iva, and getting rid of our debts and making our monthly payments more manageable. Danielle and Sean were extremely helpful. Communications were clear and regular updates were provided. A1 service! I had been struggling with debts for years, just making the minimum payment each month and not really getting anywhere at all. Over time the debt just got bigger and bigger which caused a lot of stress and I became very worried and depressed about the whole situation. After my first phone call with McCambridge Duffy it was like a huge weight had been lifted. They are very nice people and very helpful. They let me know exactly what was happening whilst setting up my IVA. I would highly recommended this company to anyone who is struggling with debt. They made the whole process an easy one. Thankyou. I found McCambridge Duffy helpful,understanding and easy to talk to. I would recommend others to this company if they are in financial struggle. I would recommend McCambridge Duffy to anyone else in the same situation as me. They have been reassuring and approachable throughout a really difficult time. They have maintained the utmost professionalism and given me the confidence I have needed to complete the process as quickly and easily as possible. McCambridge Duffy have been a great help in turning a bad situation into a great relief. Their help has been invaluable and we are very appreciative of every thing they've done. I am pleased to be writing this review! When my marriage broke down I was left will all the debt and really thinking that Bankruptcy would be my only way forward. From the first conversation with Charlie Nash at McCambridge Duffy, I felt so much more positive and hopeful about my situation. I never felt judged, my hand was held all the way through and I was presented with a solution to my situation. Charlie was awesome, a very knowledgable and kind man. Needless to say my debt solution was agreed and I sit here typing this debt free and free to move forward and upwards. A great company! Thanks so very much! This company is brilliant and work on behalf of the client with due diligence and for the best interests of the person. The person matters with this company and their needs come first. I was looking at a life of debt and misery with two kids. These [McCambridge Duffy] worked hard on my behalf and have given me my life back for which I can only be grateful for. I was nervous at discussing my financial problems and didnt think that anyone could help. It took a while for me to admit to myself let alone anyone else that I needed a helping hand. I can not thank everyone enough for what they have done for me. There was total understanding from the outset. Everyone who was involed with my case was fantastic. I would recommend anyone who is in financial difficulties to contact McCambridge Duffy now, I assure you that you will definatley not be disappointed. When you find yourself in a situation you think is hopeless an IVA can work for some people. This company explained the positives and the negatives and gave excellent advice I would recommend them to anyone in financial difficulty. I called them when I was experiencing a difficult time following the breakup of my marriage. They instantly put me at ease as they have a very friendly approach. At no time was I made to feel silly or like the debt was my fault. They explained all of my options and I decided that I wanted to do an IVA. It was the best decision I ever made. I am now paying £400 less per month than I was before. I am able to afford the things that I have done without for so long. My payments are now £220 per month. I'll repay just over £13000 by the time I'm finished and more than £20000 will have been written off. I would recommend them to anyone. They're brilliant. I felt like I was in a really hopeless situation when a family member gave me McCambridge Duffy's telephone number. Straight away I knew I'd made the right decision towards facing my money problems, because the staff, particularly Lisa, were really good at explaining the process I should go through and supportive of my concerns. I now only have a year left of my IVA and a massive weight has been lifted from my shoulders. I really would recommend McCambridge Duffy to anyone who needs good, sound advice about their debt. The most relieving aspect for me was not having to avoid phone calls anymore, as they dealt one-to-one with everyone I owed money to. 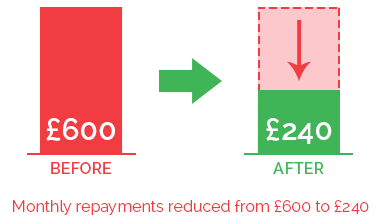 I was in a situation I never thought I would get out of, managing to meet minimum payments on my credit but having nothing much left to live on and no chance of ever paying my debts off. All it took was one phone call with Jonathan and I felt at ease immediately. Everything was explained in simple form and this has been the case through out. Thanks to the team at Mcambridge Duffy I am now on a five year road to paying my debts off and have more than halved what I was paying back on a monthly basis. I can now breath again and finally see light at the end of the tunnel. Thank you so much to everyone involved....I cant rate the customer care high enough. From the first phone call to the completion of the process, nothing was too much trouble, they are fast, efficient, polite and professional in addition to their wonderful accent which makes it a complete pleasure to speak with them. I am very pleased with the level of customer care provided by McCambridge Duffy. The staff is very professional, well trained and friendly. I was treated with a great deal of sensitivity and respect during my application prosess. I would definatelly recomend it to my friends and family. Thank you again for your wonderful help. They were very helpful and understanding an if you needed to know anything they always had time to talk an to listen to our needs and didnt judge us an I have already reccomened them to a friend so i hope they get 5 star treatment too! I was put at ease and found the company very helpful and explained everything in full. McCambridge Duffy have helped take a lot of weight off my shoulders after I had accumulated a substantial amount of debt. They gave me impartial advice on my options and everything was dealt with in a way that gave me great peace of mind. The staff were exceptionally friendly and understanding, taking away any embarrassment I felt towards my financial situation. Cannot recommend these guys enough, and everything was sorted quickly and easily, and more importantly the whole process was explained to me in simple terms as I had no knowledge of what an IVA actually involved. Thank you to each and every one of you that I dealt with, from the initial telephone conversation to those who attended creditors meeting on my behalf and then called me to discuss the outcome of my IVA. I can now look to being debt free in 5 years instead of a massive weight hanging over my shoulders for a long long time! A friendly professional company, which put me at ease from the start. From start to finish the weight was lifted from my shoulders. I have a substantial amount of unsecured debt that spiraled out of control over the years which became unmanageable to me, so I buried my head in the sand. Then the CCJ's started arriving and I feared losing my house. I knew I had to face up to this and I ended up speaking to an adviser from McCambridge Duffy. The lady I spoke to was very understanding, friendly and professional, and this was basically the behaviour I received from everyone I dealt with in the company. I had an IVA set up and was really impressed on how quick and on how virtually hassle free it was for me, and their company met all the fee's. I now have one affordable payment for the next 5 years, and whats left will be written off. I would have no hesitation at all in recommending this company to anyone in financial difficulty.